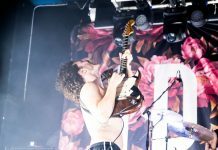 IDLES seem to have been in our lives forever, including an Alternative Escape stage we put on with them, Wolf Alice and Fear of Men about five years ago. So that they’re only on album two is a surprise. What’s not a surprise, though, is the huge anticipation building for this record. 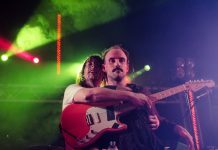 So Danny Wright’s brought together LiS IDLES fans Stephanie Phillips and Grant Bailey to talk all things Joy As An Act Of Resistance. 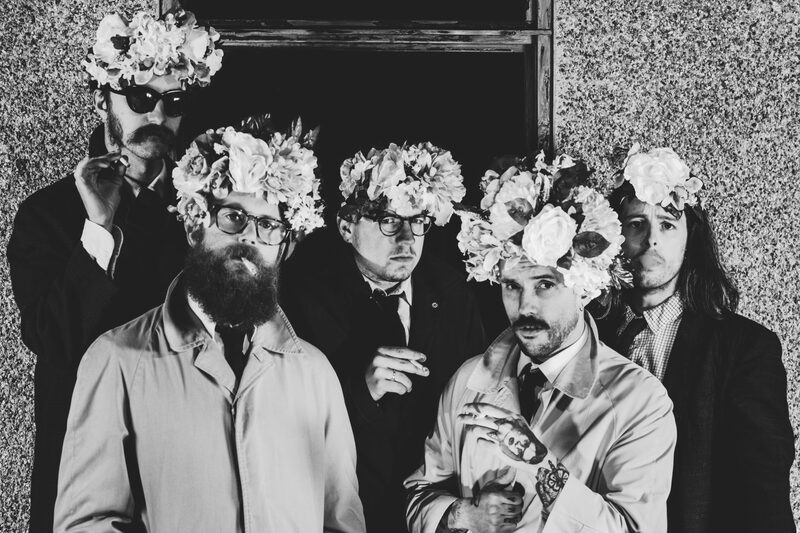 Was Brutalism the first time you heard Idles? What did you think? Grant: Yeah Brutalism was my entry point to IDLES. It’s bloody savage, still spin it to this day. I think the first time I paid them real attention was a video from their Maida Vale session and they were just killing it. Stephanie: I think the first song I heard was ‘Mother’ from Brutalism. It’s still one of my favourite songs of theirs and works well with the stripped-down drums and bass-centred sound that defines them. Brutalism felt like a frantic, minimalist take on class differences and masculinity, so to me Joy As An Act Of Resistance feels like the second chapter in that novel. 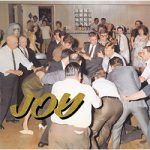 So Joy… feels like a continuation? Grant: This feels like the hangover from Brutalism. It’s darker for sure. Brutalism had energy and snark – and Joy… does too – but the tone feels different. This is brooding, higher stakes, more serious. On side A in particular, they sound sore. The thing feels like it’s got bloodshot eyes and a headache, like there was probably some discomfort getting these songs out. Stephanie: For me Joy… does feel like Brutalism part two. It feels like they’re trying to unpack masculinity and unravel it from being intertwined with nationality, racism, and class. But I think it’s made for a different listener to me. It’s brooding and dark and cathartic perhaps, if you’re a straight white man, but as someone who’s not that I struggle to see myself. 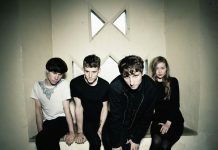 But the sound has developed and where they once relied on that bass and drum combo, now it feels bigger, more chaotic – almost like they’re taking over your headspace. Grant: For sure, the whole thing is low strung as hell, no more chirruping guitars. There isn’t a ‘Rachel Khoo’ equivalent, for example. Breeziness is not their remit on this one! Stephanie: Yeah it feels like it’s all about emotion or getting that release. No time for slow numbers. Joe has obviously been through a lot in his personal life while, at the same time, his politics also shine through. Does it feel a more personal or ‘state of the nation’ record? Grant: My vote’s for personal. I think Joe’s looking at changes small scale. He’s looking at his family, his support network. ‘June’ – while I think I’ll find it a tough track to cover off on every play through just because of the subject matter and the frankness with which he tackles it – does kind of find itself as the focal point of the album. When I was first listening through, the whole first half of an album is kind of destabilising, heading towards this terribly personal moment. Stephanie: Hmm, it ricochets between both. It feels like the mission was to create a record that opens people up and gives them that release. From that perspective it’s personal and I think it works better when they approach it from the personal angle and the personal is political. The moments where they bang the drum and get on their soapbox are my least favourite because they feel forced. I was surprised to find out ‘Danny Nedelko’ is about a real person as the lyrics literally list off random stereotypes with no aim whatsoever. It’s a shame because obviously you can hear in their work they can push forward and I think ‘Samaritans’ is an example of the band hitting the nail on the head when it comes to finding the right tone to talk about an issue. So what do you think is the best track? Stephanie: ‘June’ feels like the culmination of the band’s mission with the album; to be able to unravel masculinity and be open and lean into pain and release in your darkest moments. For that reason it’s definitely the most powerful track on the album. I’d say ‘Samaritans’ and ‘Colossus’ are up there too because to me they sound like Idles at their most political and relatable. Grant: Looking at it purely from the song which gave me that raw, physical reaction, of thinking – “yes, if this comes on in a room full of people I am ready to go” – ‘Never Fight A Man With A Perm’ is killer. After ‘Colossus’, which is a bit more expansive and brooding, it just feels scathing and direct and I love it. But then ‘Samaritans’ is close behind and ‘Television’ sort of completes that three-song run. Er, I’ve cheated there and named a lot of songs. I’ll allow it! And finally, what three words would you use to describe the record? 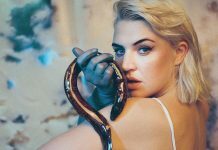 Stephanie: For me the album is about masculinity, exploration, and emotional release. Grant: Let’s go with raw and redemptive. If you need a third just put PERM in all caps. Because that song is an absolute banger.